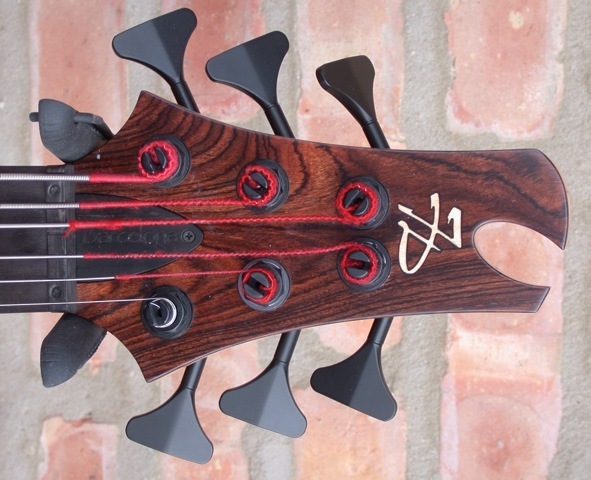 Here is a remarkable bass I have been intrigued by since I first saw a photo of Carles Benavent’s 5. I have long been interested in the concept of an acoustic electric bass guitar. 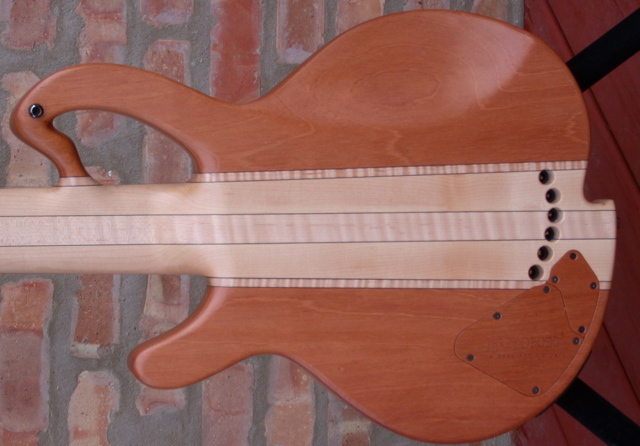 This bass has a 34″ scale neck, with 17mm spacing at the bridge. 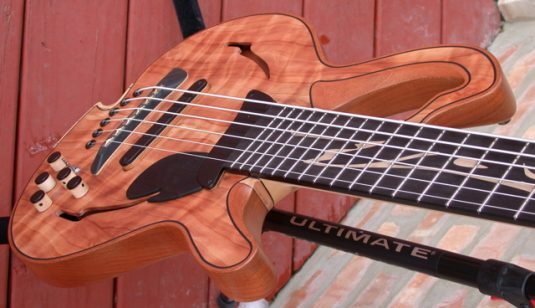 Great for fingerstyle playing and flamenco style playing, which can be quite physical. The body is Spanish Cedar, the top is Redwood. The neck is Maple with Wenge runners. 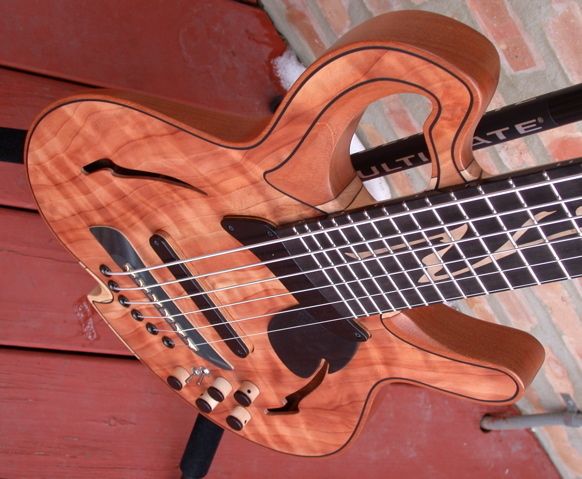 The fretboard is Macassar Ebony, as are the pickup covers, pickguard and bridge. 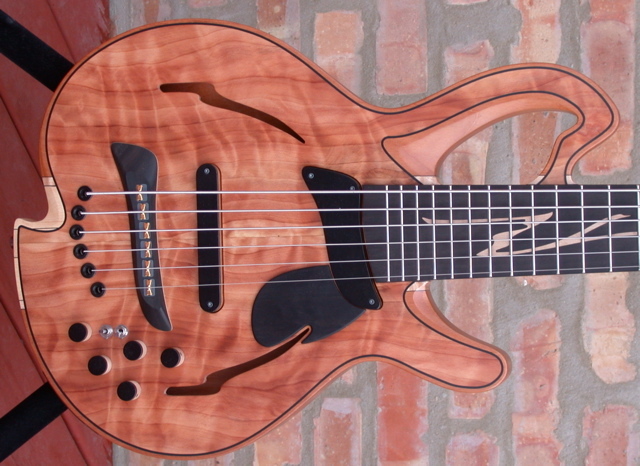 The inlay is called “Ray of Light”. 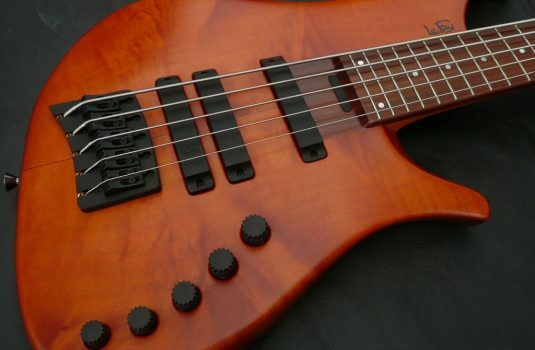 There are the two magnetic pickups you see, and an RMC Piezo Pickup / MIDI system in the bridge. Yes, this bass is well equipped , and extremely versatile give the acoustic nature of the bass. Then, there is MIDI. 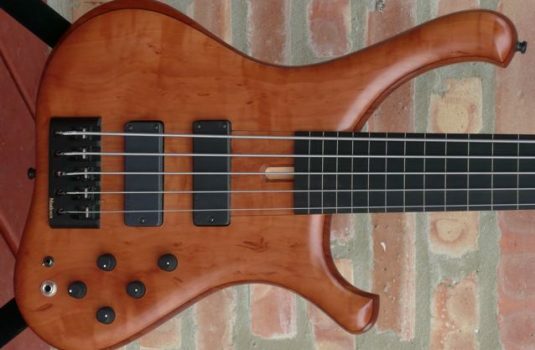 Maybe this bass is more than you need, or just what you have been after. 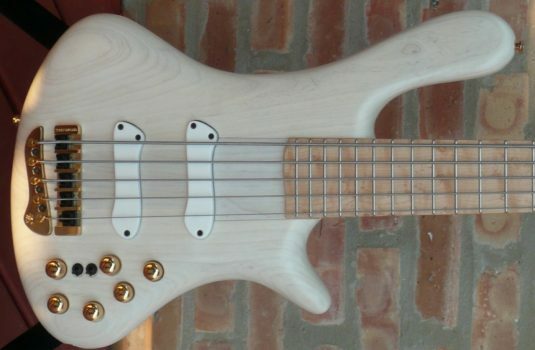 As equipped here, this bass is $7,550. 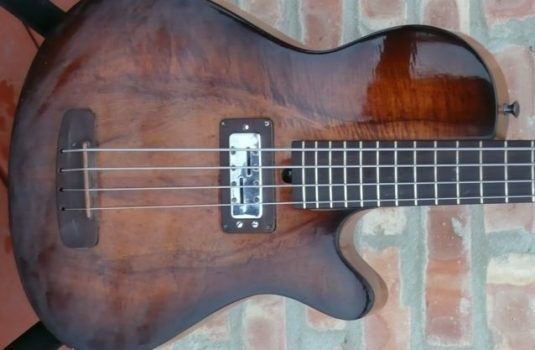 A standard Barcelona VI is $5,000.